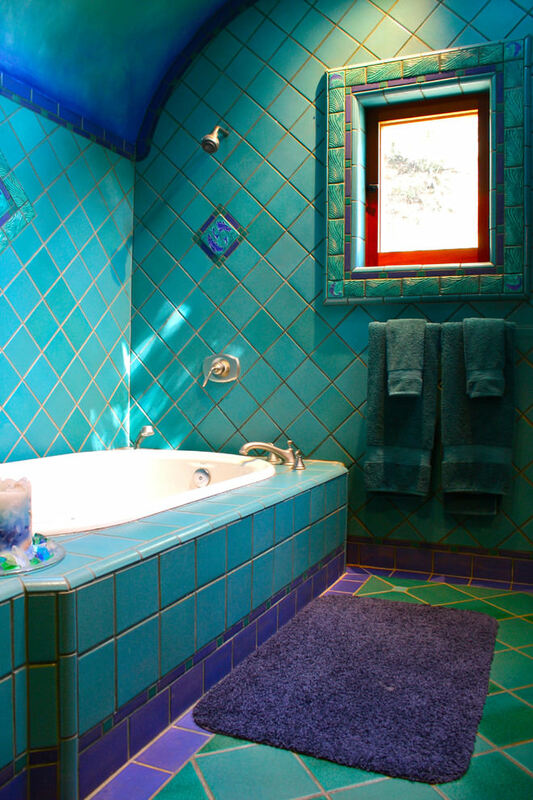 The color turquoise is known for its calming and soothing effects. 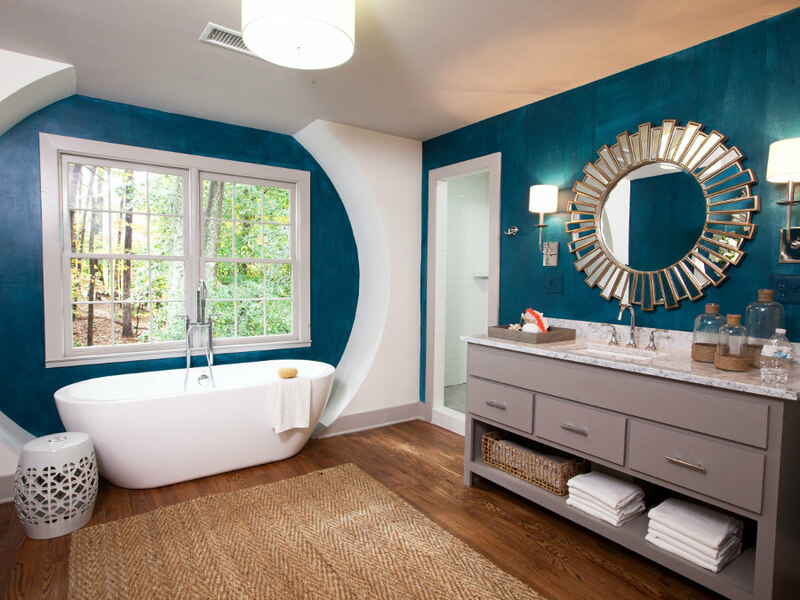 Integrating this serene color in the bathroom designs is a great idea. 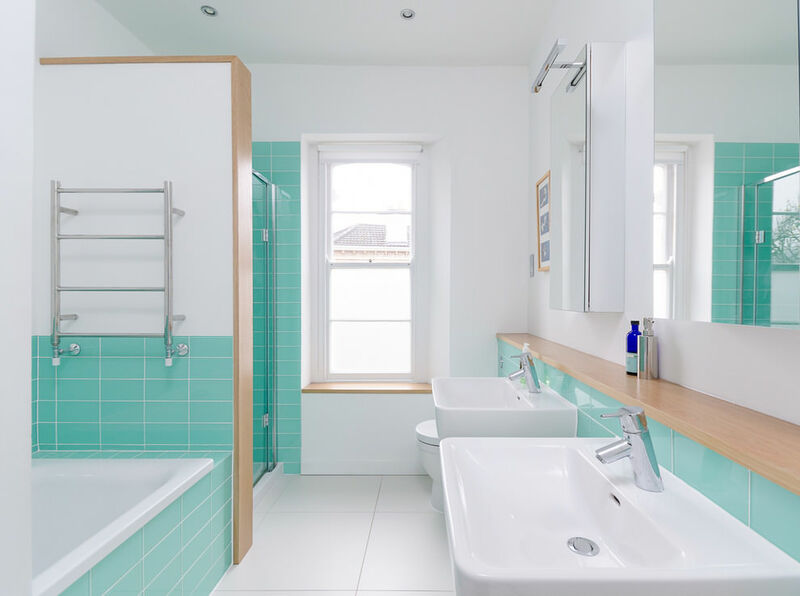 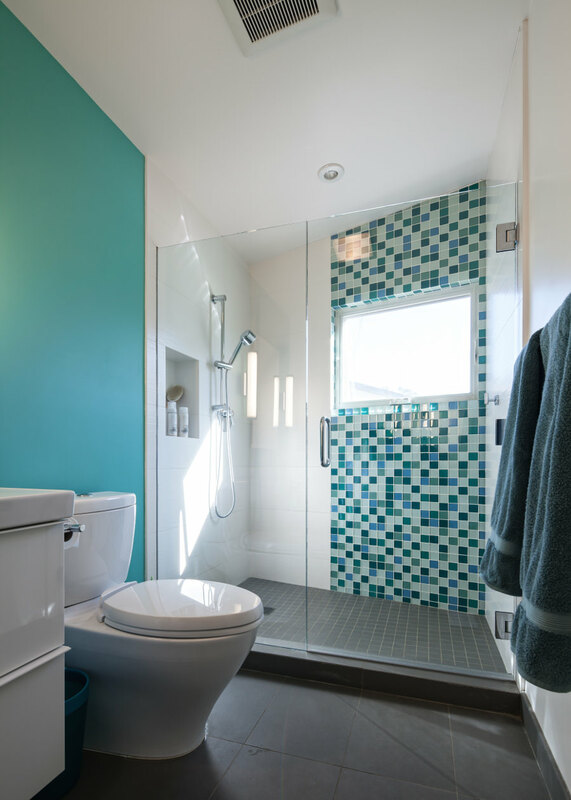 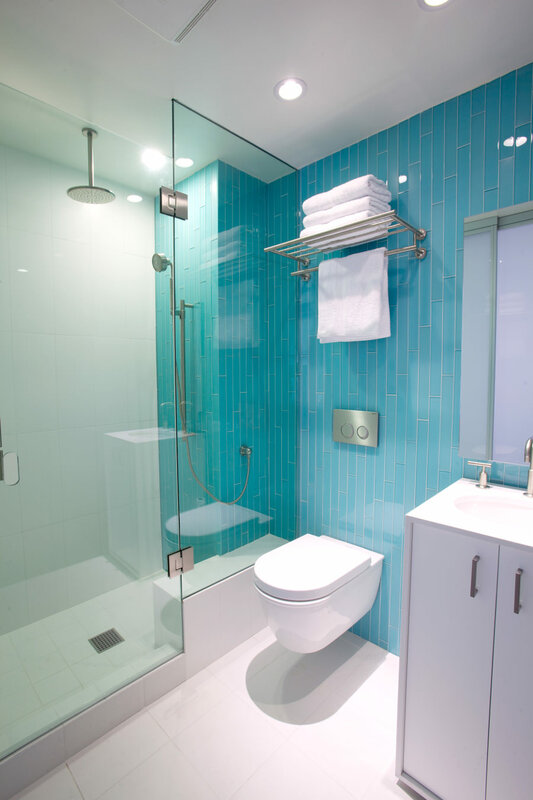 The color turquoise is specifically chosen for bathrooms and does work really well because it is said to influence people with its calming properties, and the stunning turquoise-blue shades are ones that stand out among others when it comes to bathroom designs. 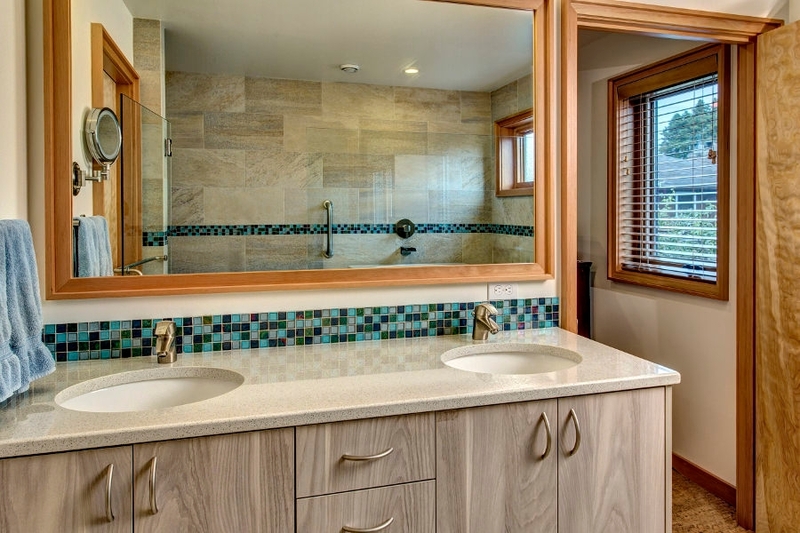 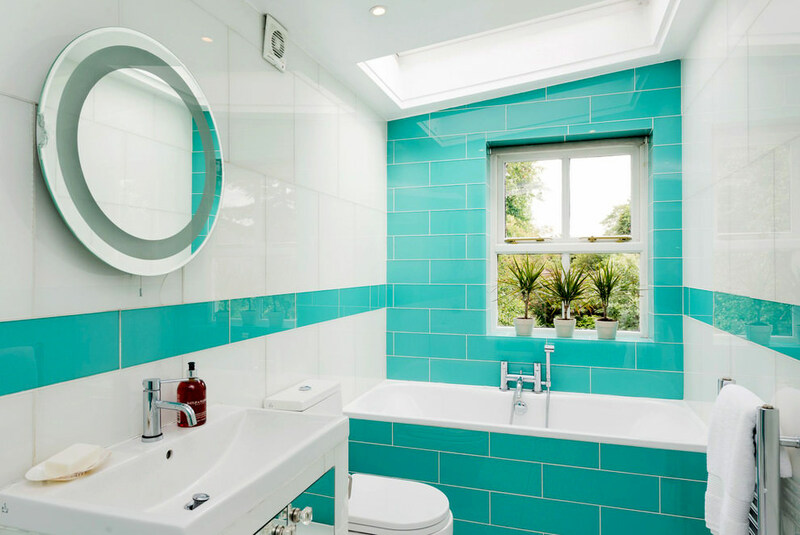 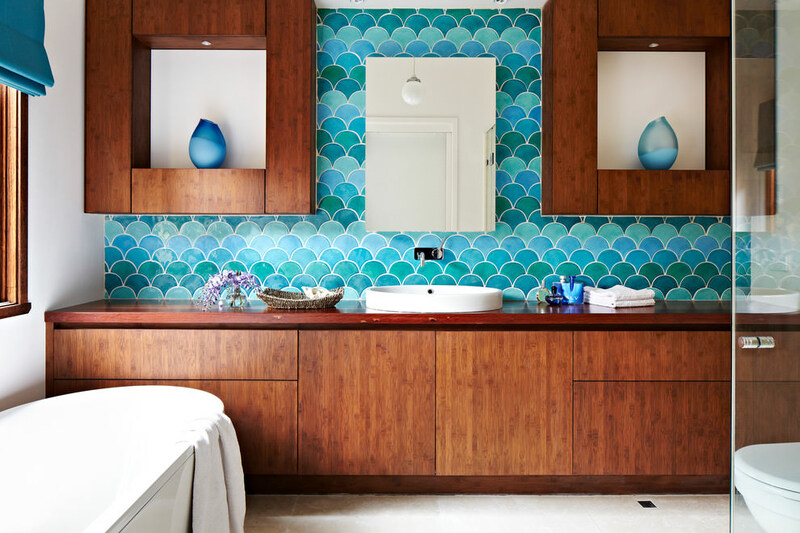 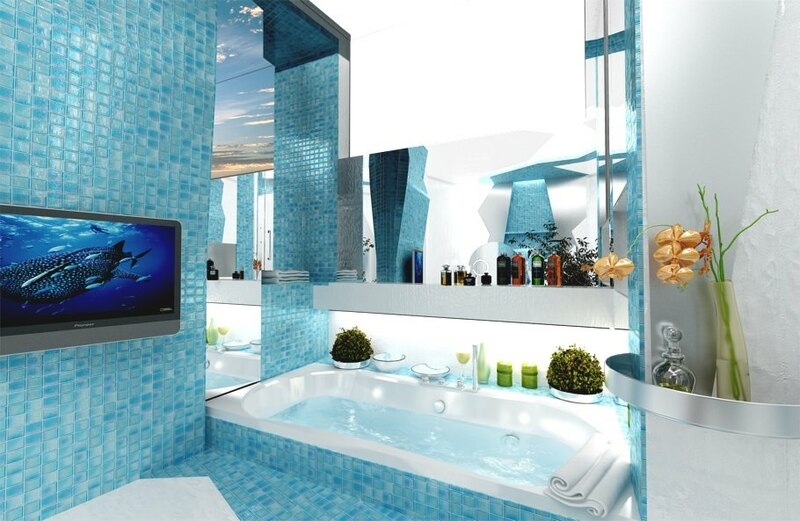 The bathroom designs in turquoise can make the appearance of the bathroom look elegant and classy. 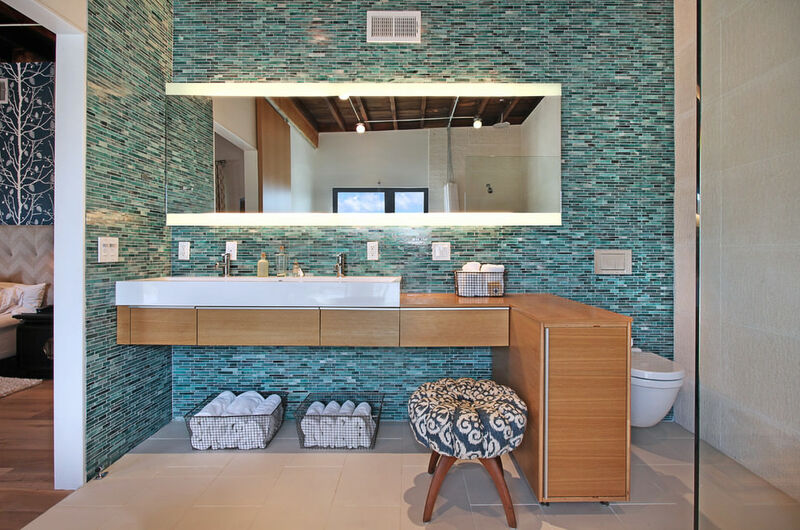 A tiny little vanity for all the bathroom essentials in turquoise color can make the bathroom look really cool. 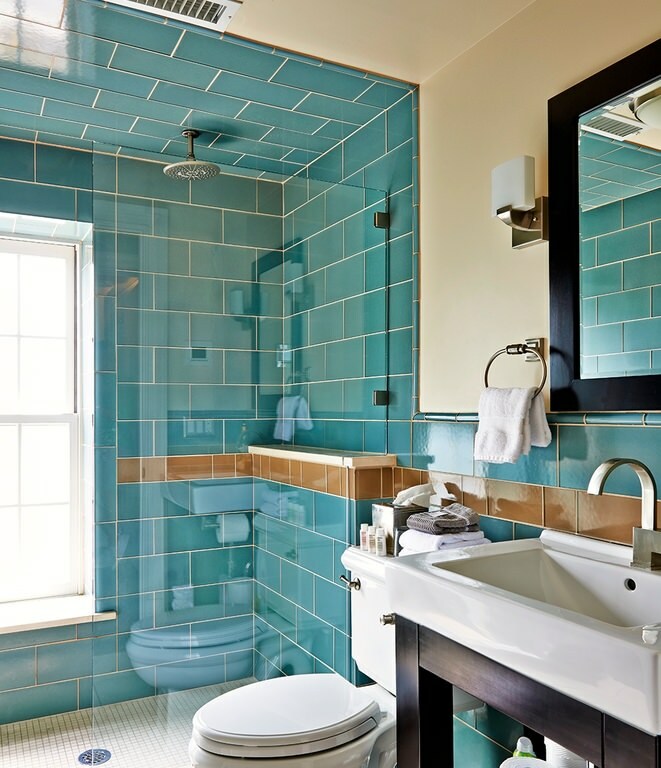 The bathroom designs in turquoise blue can be coupled with a soothing turquoise blue wall color, an antique mirror in copper, bronze vanity cabinet with pure white marble countertops and gorgeous antique light fixtures in bronze and silver will create a simple and sophisticated look. 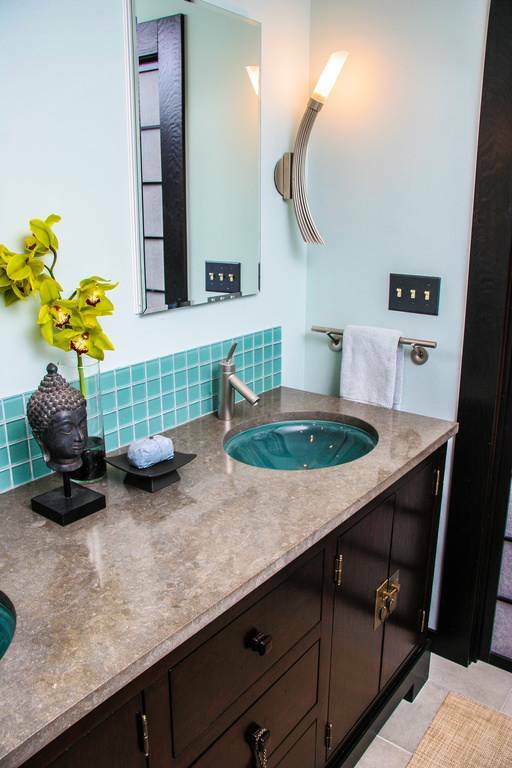 Turquoise coupled with white and black creates a regal look. 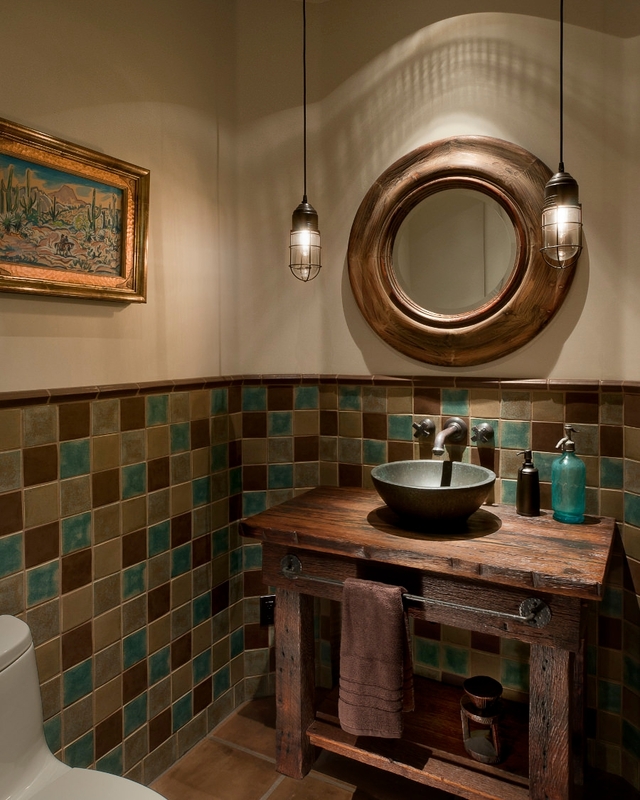 It adds esthetic elegance to the environment and perfectly balances the neutral hues. 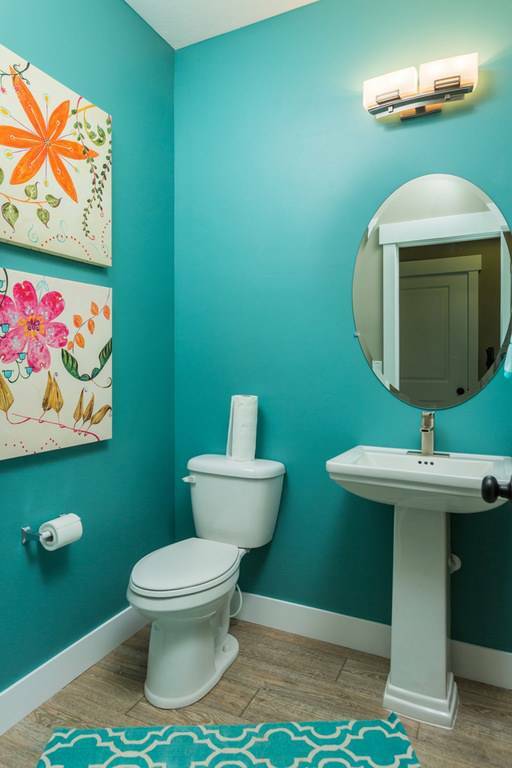 As too much of color is never too good. 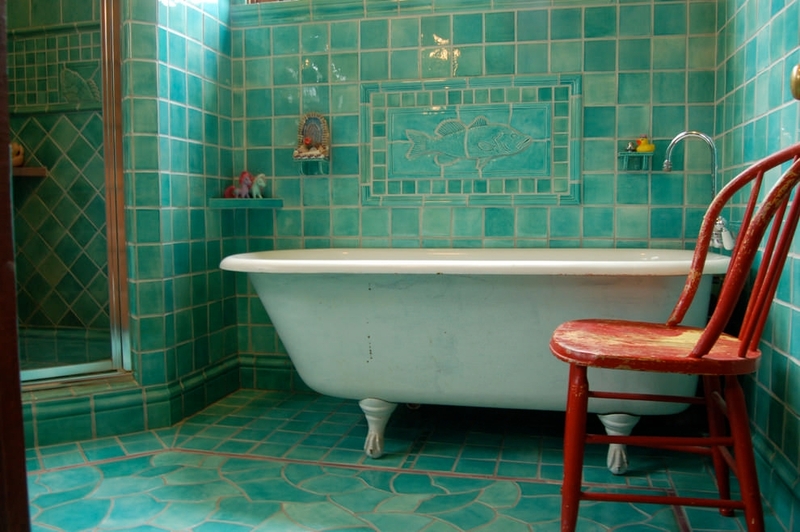 Adding too much pomp and color takes away the sophistication in the bathroom. 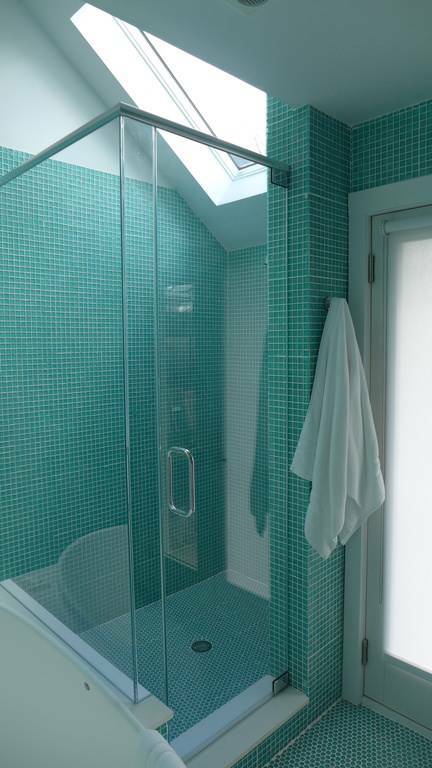 Keeping it simple with the right integration of colors is ideal.